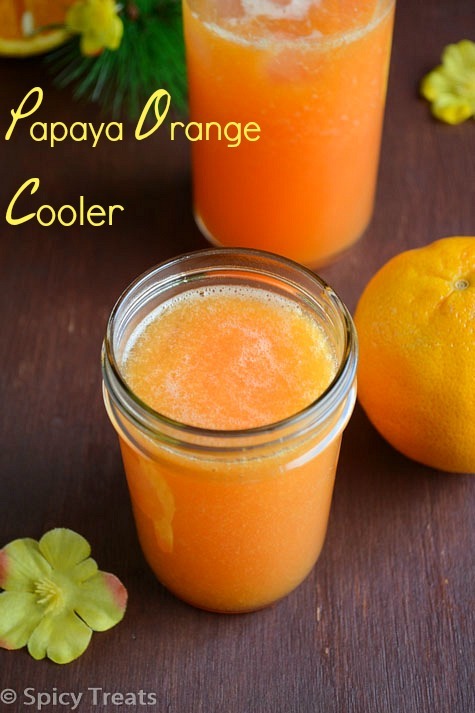 Today's recipe is super healthy & refreshing drink, Papaya Orange Cooler. Papaya is one fruit which is not liked by many of us particularly kids but it has tons and tons of nutritional benefits. Its good for Skin, Eye, Blood Purification and the list goes on. 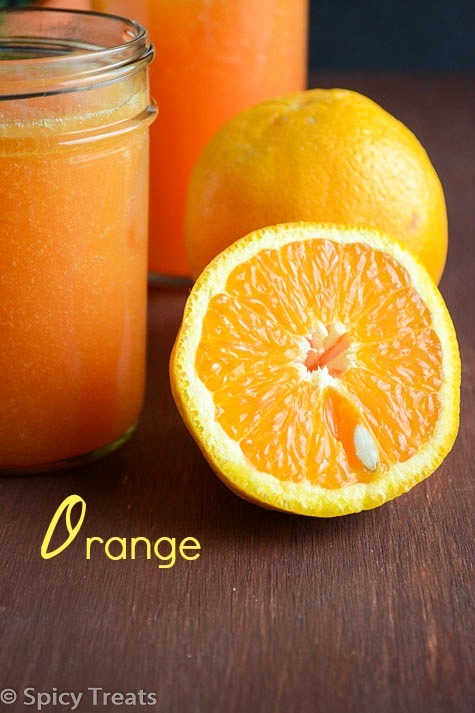 The same with Orange too, vitamin C rich, antioxidants rich, helps to improve natural immune system. So this combo of fruit juice is loaded with nutrition as well perfect delicious & refreshing drink for the hot sunny days. I am an exceptional and i love this fruit in any form but my kids not much fond of it. And also they do not like milk based juices but they love Orange Mocktail a lot. More over few days back it was too hot here and i wanted to make some juice to chill us. So just tried this Papaya & Orange combo with lemon punch and it turned out so good and we really loved it a lot. So delicious and equally refreshing drink, if u hate papaya then try it this way am sure you will definitely love it. Ok lets move on to the recipe quickly. 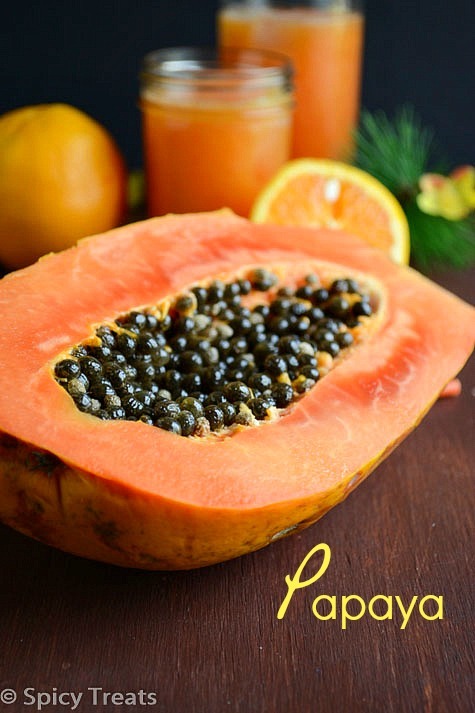 Wash and peel skin from papaya, remove seeds and cut into chunks. Now put the papaya chunks, honey, water in a blender and blend it to a smooth puree. Then to this add orange and lemon juice, run the blender for few more seconds. Check for sweetness, if u want can add more and add some ice cube and serve chill. Colorful and refreshing drink.. Very healthy too.. Love the clicks, Sangee!! wow they make a wonderful pair..
Love this vibrant colour of the cooler. Healthy and delicious! 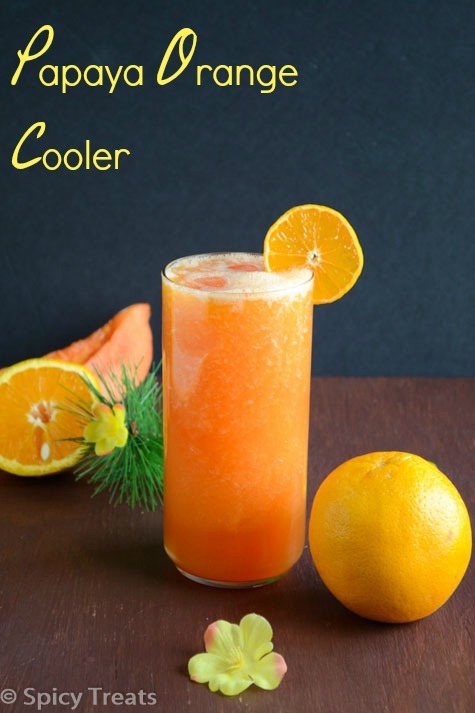 Healthy, refreshing and delicious drink. 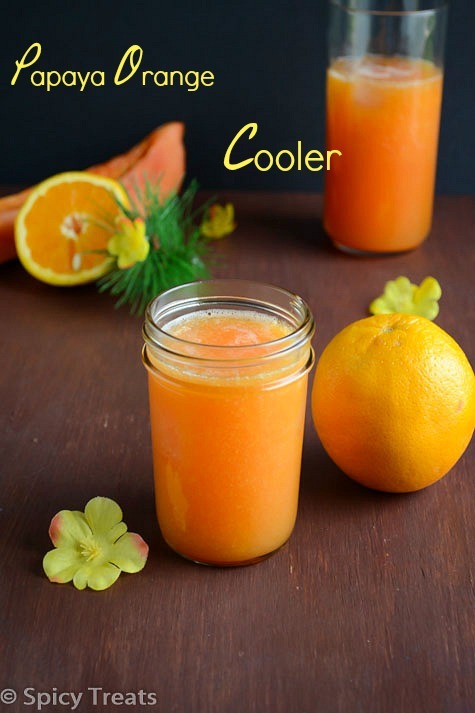 This is simply amazing and refreshing combination of papaya and orange. Perfect drink for the summer. Excellent preparation. nice combo...i didn`t tried dis..vl do next time. two lovely flavors into one... great!!! Wow...........cooler looks very inviting & colorful. 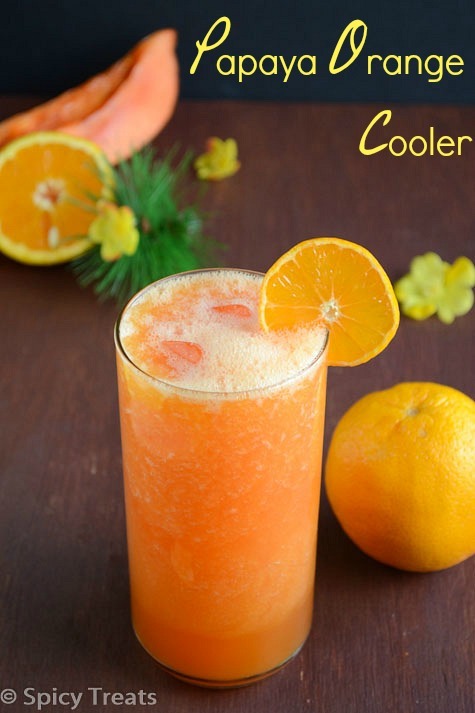 Healthy and yummy drink, looks so refreshing. unique combo dear.. ur clicks are very refreshing..